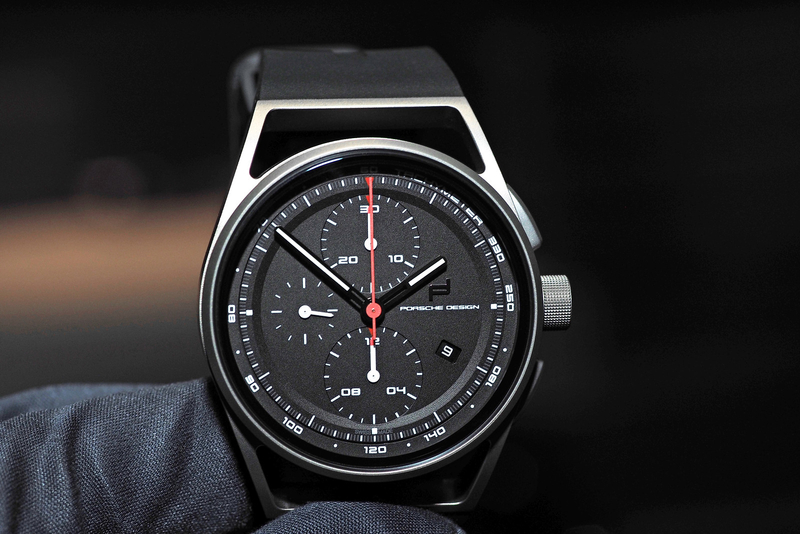 Porsche Design unveiled a new compass watch in March at Baselworld, the P’6250 Compass. 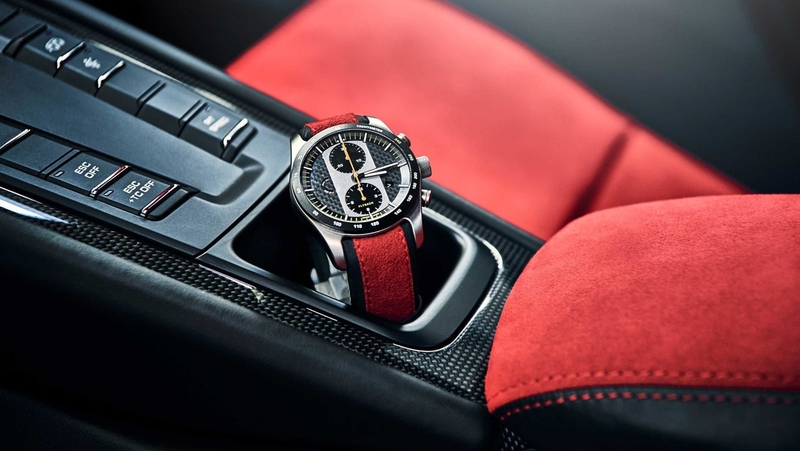 Available in a limited run of 911 pieces. The P’6250 watch has a three-hand display on the top side. Powering the time and date display is the self-winding Swiss made Sellita SW300 movement. 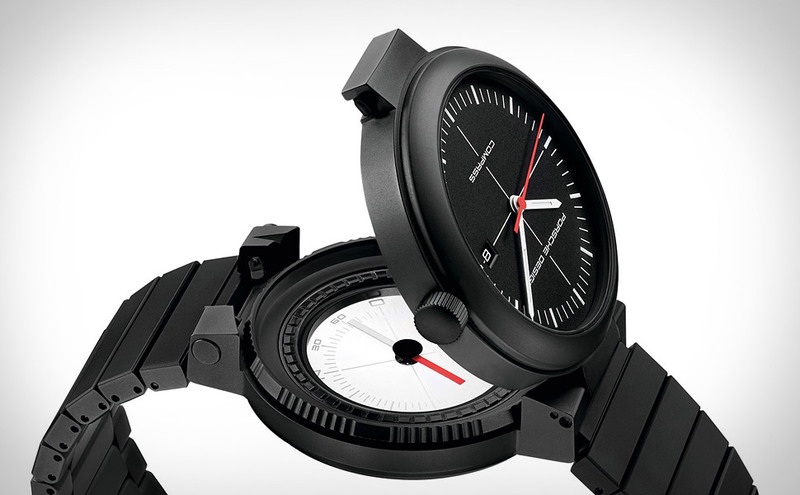 Concealed underneath the hinged dial, is a removable liquid compass. 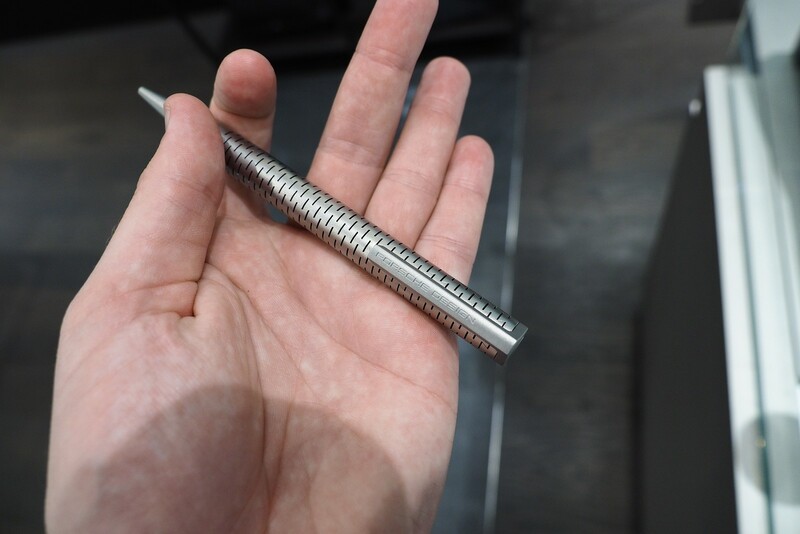 The case is titanium with a scratch resistant PVD coating. Water-resistance is 50 meters. In the 1970s, Porsche Design partnered with IWC to produce a compass watch that is very similar to the 2011 model. I found a circa 1979 Porsche Design IWC Compass watch for sale here.